Each biscuit is filled with currants, between two crispy biscuit layers. A perfect tea or coffee biscuit! In 1813, William Crawford founded his small biscuit manufacturing company in Leith, a little habrour located near Edinburgh, Scotland. Thank to industrialization and machine modernization, the company quickly developed and became a major biscuits and bread manufacturer. 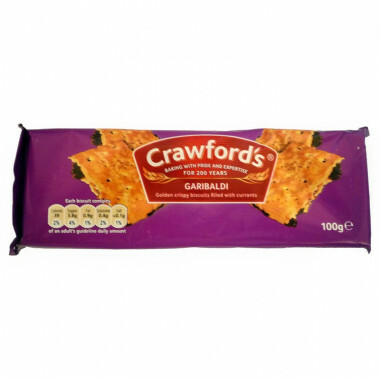 Crawford equipped with the best material and modern equipment and forged himself a reputation in all United Kingdom. 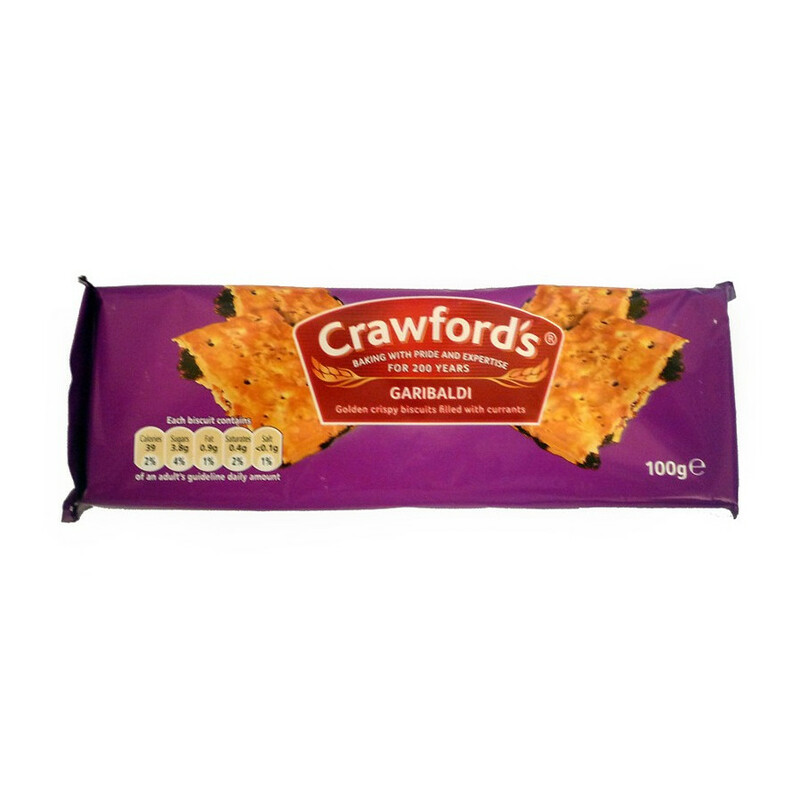 Since 1960, Crawford’s has been part of United Biscuits Group but keeps its core values: everyday biscuits at great value. Ingredients: currants (40%), flour (wheat flour, calcium, iron, niacin, thiamin), vegetable oils (palm, sunflower), wheat starch, sugar, glucose syrup, dextrose monohydrate, dried skimmed milk, lactose (milk), raising agents (sodium bicarbonate, ammonium bicarbonate), salt. For allergens, including cereals containing gluten, see ingredients in bold. May also contain nuts, soya.